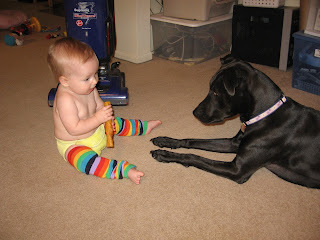 Kellie has learned to share with Zoe. Zoe is okay with this. 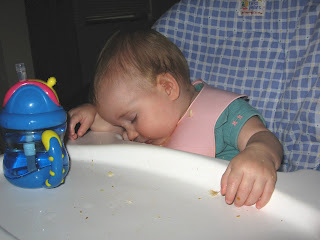 Kellie fell asleep while eating lunch. Kellie is on a sleeping strike. All she wants to do is play. I'll take whatever sleep I can get. This concludes our for-Daddy post. 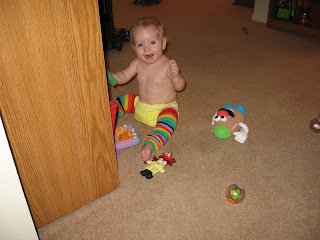 I heart the baby leggings! I love you so much you crazy mama! how fun. 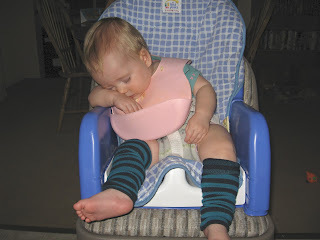 Babies falling asleep in the high chair, some of my favorites. 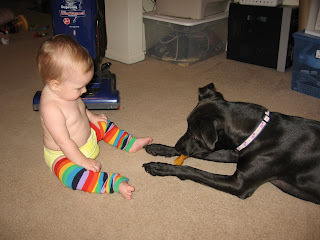 Sharing at 10 mos, priceless!